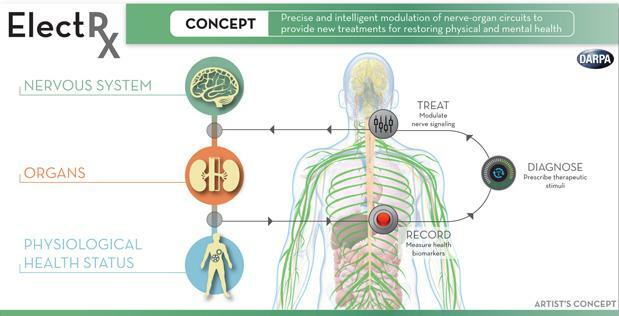 "The NESD program aims to develop an implantable neural interface able to provide unprecedented signal resolution and data-transfer bandwidth between the brain and the digital world." DARPA's Neural Engineering System Design (NESD) Program (Jan 2016) aims in creating a read-and-write neurotechnology for visual and auditory restoration following injury. "The program aims to develop an interface that can read 10^6 neurons, write to 10^5 neurons, and interact with 10^3 neurons full-duplex, a far greater scale than is possible with existing neurotechnology." The grantees were announced in July 2017 (cf. 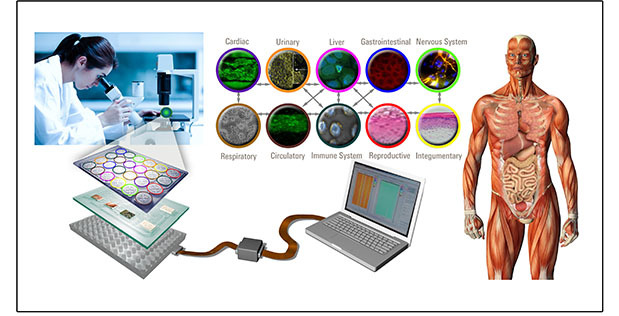 post by DARPA at https://bit.ly/2Jf3A50 which includes DARPA Brain Initiative portfolio and publication "DARPA-funded efforts in the development of novel brain–computer interface technologies"). 1. Brown University. 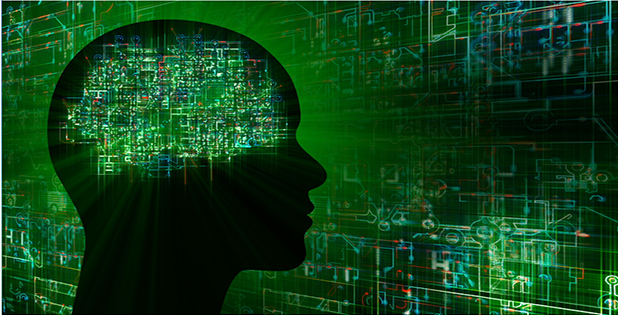 Decoding neural processing of speech. 100,000 “neurograin” sensors implanted onto/into the cerebral cortex. 2. Columbia University. Vision. Metal-oxide semiconductor (CMOS) integrated circuit over the cortex containing an integrated electrode array (transceiver worn on head). 3. Fondation Voir et Entendre. Optogenetics to enable communication between neurons in the visual cortex and a camera-based, high-definition artificial retina worn over the eyes. 4. John B. Pierce Laboratory. Modified neurons capable of bioluminescence and responsive to optogenetic stimulation communicate with an all-optical prosthesis for the visual cortex. 5. Paradromics, Inc. Speech restoration. High-data-rate cortical interface using large arrays of penetrating microwire electrodes for high-resolution recording and stimulation of neurons. 6. University of California, Berkeley. Development of a novel “light field” holographic microscope that can detect and modulate the activity of up to a million neurons in the cerebral cortex. "The team will attempt to create quantitative encoding models to predict the responses of neurons to external visual and tactile stimuli, and then apply those predictions to structure photo-stimulation patterns that elicit sensory percepts in the visual or somatosensory cortices, where the device could replace lost vision or serve as a brain-machine interface for control of an artificial limb." "Neural interfaces currently approved for human use squeeze a tremendous amount of information through just 100 channels, with each channel aggregating signals from tens of thousands of neurons at a time. The result is noisy and imprecise. In contrast, the NESD program aims to develop systems that can communicate clearly and individually with any of up to one million neurons in a given region of the brain." Precise and high-resolution connection to neurons or groups of neurons is currently possible invasively by surgical attachment of electrodes, as is the case for prosthetics. Noninvasive techniques like EEG, TMS etc. cannot achieve increased resolution. DARPA aims to create a high level brain-communication system without surgery with its new program Next-Generation Nonsurgical Neurotechnology (N3). The biggest obstact in targeting specific neurons in the brain will be to overcome the scattering and attenuation of the signal as it propagates from the head surface in the brain tissue.